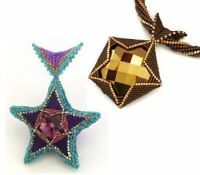 Learn how to create a geometric pendant with a secret. 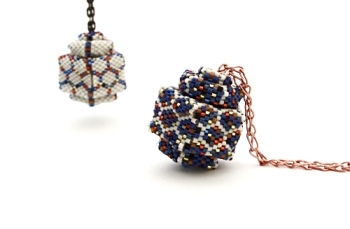 These pendants, which can be beaded in two different shapes, contain a secret. 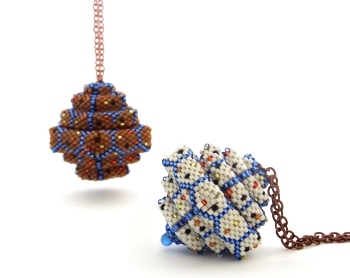 Not only are they eye-catching beadwork in a geometric shape with a Gaudi inspired pattern, but they also function as tiny vessels which can hold a small item. 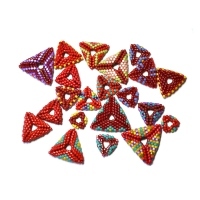 Beaded using peyote stitch and any either sizes 15, 11 or 10 Cylinder beads, these are ideal for anyone wanting to create something different or be stretched with their beadwork. 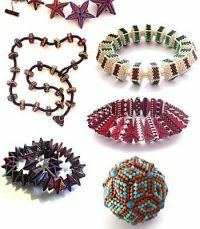 This complete 12-page step-by-step tutorial contains all the instructions, diagrams and photos you will need to learn how to make the two different shapes.